Our test is to build products that live up to that ride. This is why we bend, break, shake, crash and rebuild our racks before we let you touch them. In doing this, it makes them some of the strongest, sturdiest, most weather resistant, and longest lasting on the planet. WindDiffuserâ¢ is a textured surface on the t-slot cover that disturbs the airflow better than a smooth surface, greatly reducing wing noise. BoxBeamâ¢ - The sophisticated BoxBeam aluminum extrusion creates one of the strongest load bars in the market. Using a vertical load test, the AeroBlade can sustain over 800 lbf of force. SmartSlideâ¢ â The new SmartSlideâ¢ is a molded measurement system providing a quick, no-hassle, tapemeasure-free foot installation. 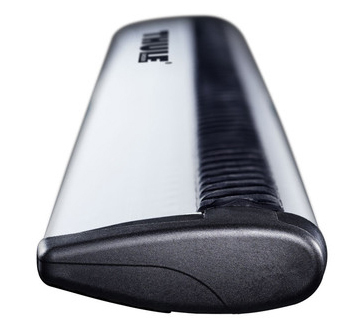 SmartSlideâ¢ also covers the underbar slot to improve aerodynamics and noise diffusion. SwingBladeâ¢ â The new SwingBladeâ¢ end cap pivots open to allow full access to the t-slot for easy accessory installs. The revolutionary new foot which provides the strongest hold, safest fit and easiest installation for the ultimate in roof rack technology and peace of mind. 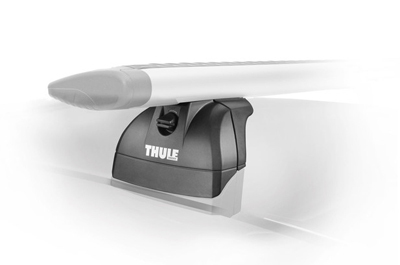 Fit Thule Aero profile bars. 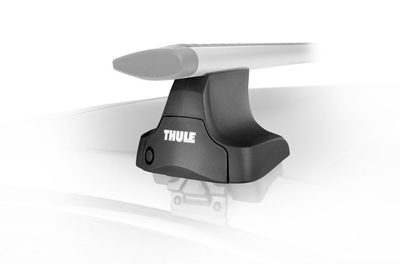 For use with Thule Rapid Aero load bars only. EasyClickTM Bracket Attachment, OneTouchTM Bar Lock and the AcuTightTM Tool for the easiest, fastest and safest mounting available. 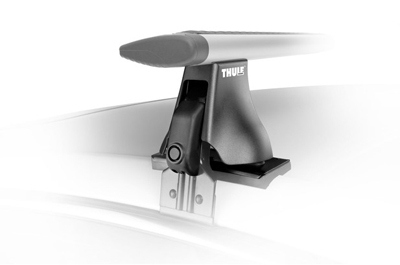 Strongest, best fitting foot for vehicles without a factory rack or rain gutters - built for Thule Aero bars.